Science of Mind Foundation and World Ministry of Prayer lovingly dedicate our third Holmes Reader to the several thousand friends whose generous financial support makes our work possible. 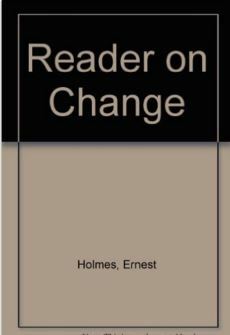 The theme of this year’s reader is “Change,” a phenomenon which proves troublesome to everyone at one stage or another. We accept that change is inevitable. Yet few of us consistently and gladly welcome changes in our own lives which require us to move beyond familiar patterns of behavior.